The establishment of the State of Israel in May 1948 triggered one of history’s greatest organized mass migrations. By the end of 1950, some 440,000 Jews had reached Israel with the aid of JDC, in cooperation with the Jewish Agency for Israel. In addition to over 270,000 European refugees, this total included some 167,000 Jews from the Muslim countries of North Africa and the Middle East. Some of those countries were themselves standing on the threshold of independence, and expediting the departure of their Jewish populations was, in many cases, of utmost urgency. In one of the most dramatic of these rescue efforts, called Operation Magic Carpet, JDC organized and financed the airlift of some 48,000 Yemenite Jews—almost the entire community—from the British Protectorate of Aden to Israel. These Jews had trekked across 200 miles of desert to reach Aden, where food, clothing, shelter, and, above all, medical aid were provided for the malnourished and often ill refugees. This massive exodus involved nearly 450 flights on huge JDC-chartered aircraft; it began in December 1948, and the last plane left Aden on September 19, 1950. 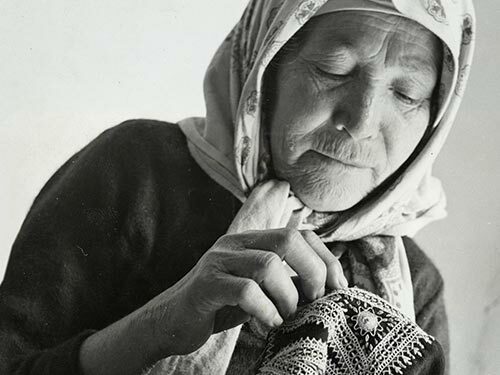 In 1949, JDC financed Operations Ezra and Nehemiah, which brought thousands of Kurdish and Iraqi Jews to Israel. In those same early years of the Jewish state, JDC provided care and maintenance for Algerian Jews transiting through France on their way to Israel; it sustained Libyan Jews awaiting permission to emigrate and arranged for their evacuation; and it aided Jews fleeing Egypt, especially after the 1956 Suez Crisis. In the early 1960s, JDC helped evacuate thousands of Jews from Algeria to France, working with local Jewish organizations to provide them with food, clothing, shelter, and medical care. The condition of the Jews of North Africa and the Middle East had first come to JDC’s attention during World War II, when JDC was searching for sanctuaries for Jews fleeing the Nazi juggernaut and when camps for Jewish refugees were being established in Morocco. JDC found that many Jews in this part of the world were living in poverty, packed into overcrowded and unhealthy mellahs, or Jewish Quarters, plagued by malnutrition and attendant diseases. The misery of the Jewish population was made worse by outbreaks of violence after the founding of the Jewish state. JDC’s early aid efforts led to the 1949 establishment of a full-scale assistance program for the remaining Jewish communities in North Africa, Iran, and other parts of the Middle East. Even as those communities’ numbers and resources steadily diminished, they faced the need to care for a disproportionate number of aged, chronically ill, disabled, and impoverished individuals. In the ensuing decades, JDC helped them provide a full range of services, and it furnished strong support for homes for the aged and for the Jewish school systems operated by Alliance Israelite Universelle (Ittihad), ORT, Chabad Lubavitch, and Ozar Hatorah. Feeding and health programs in Jewish schools; milk distribution stations; and infant clinics and preschool centers helped combat malnutrition and child mortality, while relief programs, medical care (often in cooperation with OSE, a French Jewish humanitarian organization), and vocational training helped fight poverty and added to the dignity of life.